10 x 20 IAAPA Trade Show Island Exhibit Rental, has a clean design, welcoming show attendees while providing product exposure inside. The compact structure of the island with 3D logos place on solid colors allows for multiple meetings and provides plenty of space for attendees to explore and connect. It features a top head structure with sharp graphics, customizable floors, overhead lighting with multiple stylish lamps, and a lounge area with high chairs and tables facing TV displays for product demonstrations. All AV, lighting, flooring, graphics, and furnishings are completely inclusive in our services, in addition to labor. 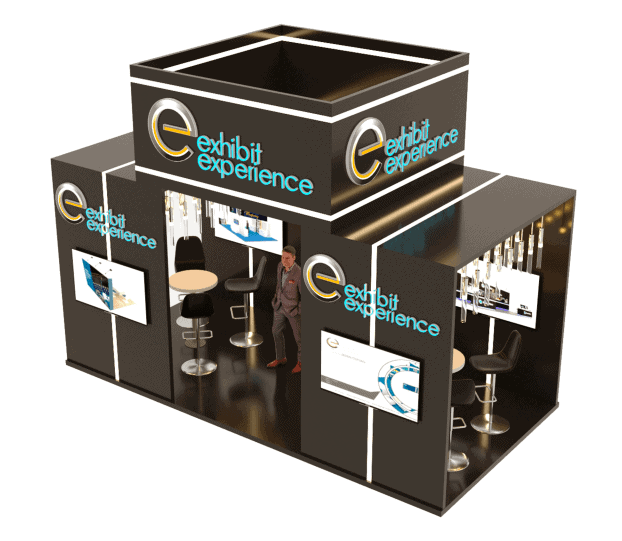 Experience the difference of an exhibit house with 25 years experience. For more information in regard to 10 x 20 IAAPA Trade Show Island Exhibit Rental, give us a call at (800)-354-6022 or send us an email at [email protected] Contact us today for your complimentary consultation.